This week, all ten candidates for the French presidential election appeared on a TV programme called “Des paroles et des actes” (“Words and actions”) at prime time and were interviewed one by one by a panel of journalists. The exercise took place over the space of two evenings, with five candidates on set the first night and the other five the next. The presidential hopefuls therefore did not debate with each other - or, at best, did so indirectly - but it was still fun to watch them in action. (Plus, let’s face it, political debates in France tend to get so animated they simply descend into shouting matches). The format of this fun exercise had a lot to do with the strict broadcasting regulations that have now come into place shortly before the election, stipulating that each of the ten candidates must be given equal air time. The two-part programme, shown on France 2 television, was therefore a boon for what are called the “little candidates”. These are credited with no more than 2% of voting intentions in the first round and have difficulty getting their message out in the media, drowned out by favourites François Hollande and Nicolas Sarkozy, and by those following close behind in the polls. At the end of the second part, two political journalists, who had been studiously taking notes the whole time, gave viewers their point of view on the candidates. 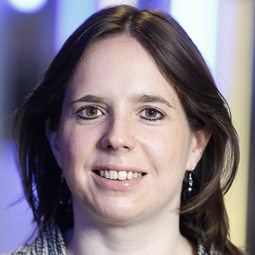 The duo, made up of Hélène Jouan of radio station France Inter, and Franz-Olivier Giesbert, head of weekly Le Point, are certainly complementary. While Jouan remained neutral and even thanked the French broadcasting regulator for allowing all ten candidates to appear, Giesbert had other ideas. “Really, we could have been spared some candidates”, he quipped, before going on to ridicule those he had in mind. Of Green candidate Eva Joly, who is originally from Norway and therefore has a (slight) accent, he said: “Nobody understands what she says, besides nobody cares anyway!” He also dismissed anti-capitalist candidate Philippe Poutou as an “extremely nice guy” but a “total hippie” who would not be out of place “gobbling sardines in Marseille”. 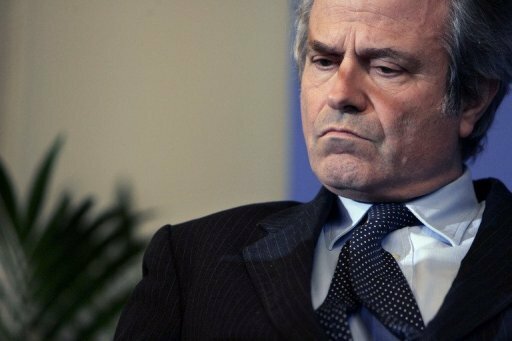 As for the admittedly most whacky candidate, Jacques Cheminade, who appears to flirt with conspiracy theories, Giesbert declared that he would be more at home “as a warm-up act in the next tour” of French stand-up comedians Nicolas Canteloup or Laurent Gerra. Franz-Olivier Giesbert, the head of weekly Le Point. Photo: AFP. In fact, pretty much the only candidate Giesbert had anything positive to say about was….Nicolas Sarkozy. “He was good”, said Giesbert, who has also written a biography of the outgoing president. While all of this added to the entertainment factor, web users were not amused. Giesbert, also known by his initials FOG, was the first to admit that he would be “really in for it” on the internet the next day. But he did not have to wait that long: as soon as the programme was over, Twitter users were detailing exactly what they thought of his performance. “FOG is insulting towards the little candidates. What contempt for democracy”, complained @Matfunus. “There is a lost-looking gentleman on the set there. Someone should take him back to his room”, joked @Antonomase. But the outpouring of online anger did not end there: Giesbert’s Wikipedia page was also attacked by web users, so that it referred to him as a “famous cocaine addict” (and worse), before being blocked later that evening. The photo below, hardly complimentary to Giesbert, is also doing the rounds on social networks. 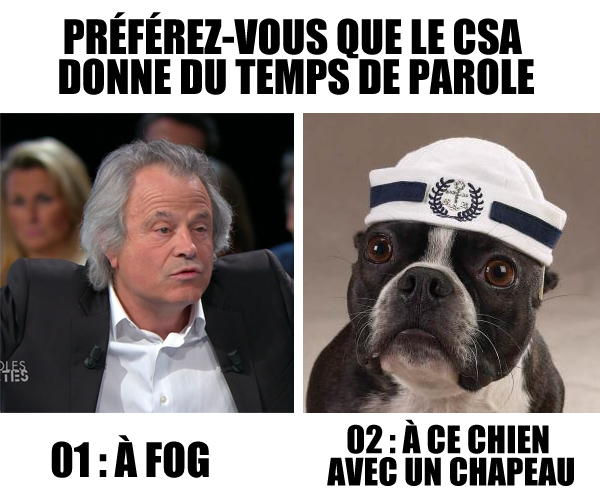 Translation: “Would you prefer the French broadcasting regulator to give air time 01: To FOG; 02: To this dog with a hat". Photo posted on Twitter by @soymalau. Behind this explosion of online rage inevitably lies the question of whether political journalists can, or should, be neutral. The programme's main presenter, David Pujadas, was at pains to stress that Giesbert was only speaking in a personal capacity, and was even seen biting his lips. Plus, this is not the first time that Giesbert has made complimentary remarks about Nicolas Sarkozy on “Des paroles et des actes”. After the president appeared on the programme back in March, Giesbert said at the end that he thought Sarkozy had been “great”, which also did not go unnoticed on the Twittersphere. But interestingly, the two men are not on good terms. Giesbert’s unauthorised biography of Sarkozy (“M. Le President, Scenes of political life 2005-2011”, published in April 2011), was noted for being a warts-and-all profile which was not particularly flattering towards Sarkozy. In particular, it detailed how the president reportedly phoned none other than Giesbert himself to express his fury over an article in the latter's own weekly, Le Point, which Sarkozy felt was insulting towards his wife Carla. Perhaps Giesbert is angling for better relations if Sarkozy is re-elected.